This is a brilliant example of using Sensors in the Ground to increase customer delight . What is the result you ask. Duh! More loyal addicted fans and revenue for Facebook. 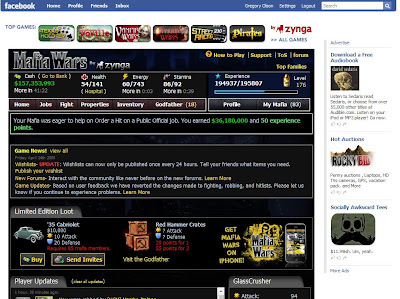 I’m not certain what the business deal is between Zynga and Facebook but I’d guess there is a revenue share in place. If this is the case, both companies win. Unlike my recent CrackBerry post where I chided Sprint and RIM for a lack of sensors and meaningful experience, this Zynga example positively impresses me. #1 Zynga asks players for feedback right in the product. The Sensor in the Ground is established, visible but not obtrusive. You can choose to give feedback or simply ignore it. I suppose many do ignore it but in the recent bout of feedback 12,858 people chimed in on what should be done to improve the game. #2 Zynga not only listens, they appear to have a systematic and agile development process by which to prioritize and put in place feedback received from game players. And, they do this in a reasonable period of time. I’m sure their development path is rife with ideas for the short run as well as the long run, but they deliver results along the way. I notice this as a game player. I believe others do too. #3 Then, once changes are made, Zynga communicates to players to let them know of the changes. This “Game News!” update is prevalent on the Home page of the game. This isn’t a page to be skipped by players since "Limited Edition Loot" and "Player Updates" are listed here as well. Again, brilliant architecture and experience delivery Zynga. 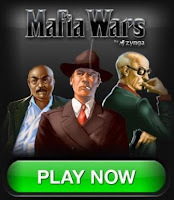 Brand Perception = I really feel that Zynga cares about me, my Mafia Family, and all of the competing families. 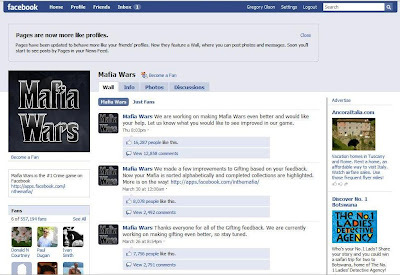 They are sincere in their aim to be the #1 social gaming company on the web. Now if only I can get Zynga to cross train those folks at Sprint and RIM!